Here’s the thing. Not all warning lights indicate a massive, immediate problem with your car. Each Ford instrument cluster is loaded with warning lights and notifications, and not all are bad. Knowing what your dashboard is trying to tell you may prevent that panic attack the next time a warning light flips on. Dashboard warning lights, or dashboard symbols, are designed to let you know when there’s a problem with your vehicle. Advance alerts about a potential problem or breakdown can help you avoid catastrophic vehicle failure, or even just running out of gas. Most warning lights do not mean a car is nearing imminent failure. Rather, they notify drivers of a potential issue that needs to be reviewed. Minor failures like a loose gas cap can cause warning lights to pop on, startling many drivers. Fortunately, all dashboard symbols are color coded, allowing you to determine your next course of action easily. What do dashboard light colors mean? Each warning light represents a different aspect of the vehicle’s system and is color-coded by urgency. Only a flashing red light means pull over immediately. There are three dashboard light colors on most dashboards: yellow, red, and orange (and, occasionally, blue or green). The most severe alerts are displayed in red or orange. Generally, if you see an orange or red warning light, pull over as soon as safely possible and drive cautiously to determine what is happening. Yellow lights typically indicate a less-serious problem. A yellow light can quickly become a major problem, so don’t ignore it. Schedule a service appointment for your vehicle as soon as possible. Finally, green or blue (occasionally even white) lights indicate a particular feature or system, like high beams, has been activated and is working properly. 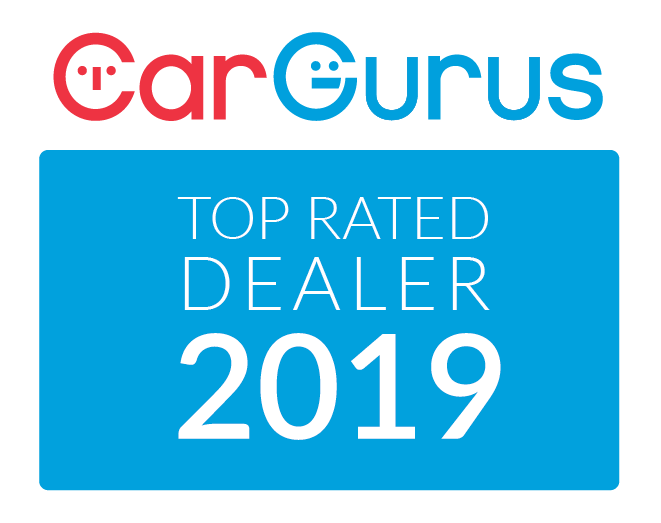 Knowing what each different color signifies is a great starting point for diagnosing what’s happening on your vehicle’s dashboard, but it doesn’t actually address the problem; it only informs you of the urgency. To truly understand what’s happening with your car, you need to examine the symbols, too. What do the dashboard symbols mean? Each dashboard symbol corresponds to one aspect of the car. These symbols can be grouped together by color, system, importance, etc. 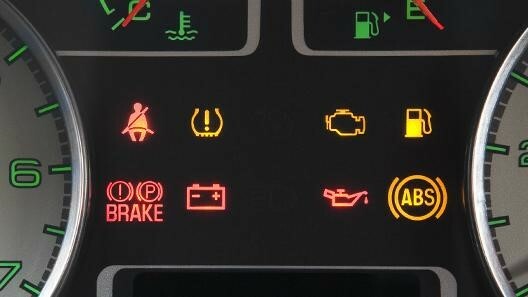 Let’s take a look at some of the most common dashboard warning lights and their corresponding system. Engine Light: One of the most sensitive lights on a Ford, the check engine light has two warning levels. For less serious issues (assuming the vehicle is operating normally), the light will stay on but remain steady. If the light blinks, however, there is a major issue. Do not drive the vehicle. Have it towed to the nearest repair facility. The check engine light can fire for a variety of reasons, from improperly closing the gas cap to a catalytic converter failure. Stay vigilant about your check engine light. If it comes on, do not wait. Handle the issue immediately. 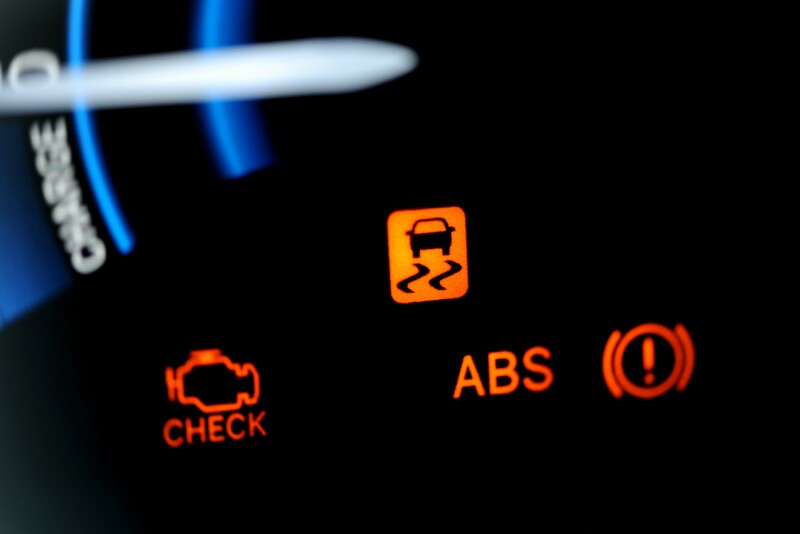 ABS: When the Anti-Lock Braking System (ABS) light flips on, the normal braking system is working fine, but the ABS is malfunctioning. Unless the separate BRAKE warning system comes on, continue driving, but make an appointment today to get this fixed. Brake Lights: When illuminated with the engine on, the parking light is engaged. If this light pops on when you’re not driving, make sure that the parking brake isn’t engaged, and if it’s not then check your brake fluid levels. Either your fluid is low, or there is a malfunction occurring in your brake system. Make an appointment with your local dealer as soon as possible. Charging System: If you’re driving while this light comes on, switch off all unnecessary electrical equipment that you may have running and get your vehicle checked by an authorized mechanic immediately. Engine Coolant: This light is triggered only when the vehicle’s internal temperature is well beyond where it should be. Switch the vehicle off as soon as possible and let the engine cool down. More than likely, you have run out of coolant, or there is a serious issue with the temperature gauge. Check your coolant levels. If you’re at the appropriate amount, do not move your car—have it towed to the nearest mechanic. Engine Oil Pressure: This is one of the more critical warning lights. It means you need to stop immediately and switch the engine off. You either are low on oil (and driving will jeopardize the life of your car), or there is a serious malfunction within the system. Do not drive your vehicle until this situation is resolved. Low Fuel: This is one of the most common and least threatening warning lights. You’re running low on fuel. Your owner’s manual can tell you exactly how much fuel is left when this light triggers, but it’s recommended to get gas as soon as you can. Low Tire Pressure: This light indicates that your tire pressure is low. This symbol illuminates for a brief second when you turn the engine on to indicate that it’s functional. If it remains lit while your vehicle is running, check your tire pressure as soon as possible. If it begins to flash or does not illuminate when turning on your vehicle, have your system checked by a professional as soon as possible. Still don’t see the warning that’s coming up on your dashboard? 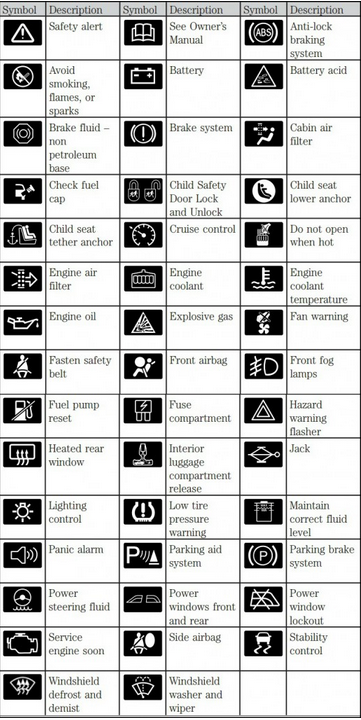 Use the table below to see a full list of dashboard symbols and their meanings. Who do I contact about a persistent light? Do you have a light that just won’t turn off? Did it just come on and you’re not sure what to do? Contact us at Mainland Ford to talk to an expert. Our talented and certified staff of Ford Technicians will ensure that—regardless of how many lights are on when your vehicle arrives at our shop—all lights will be off when you pick up your car.